Most developing professions gather misconceptions about their past and present state of development. This paper briefly addresses a series of myths that I believe are still associated with Procurement or purchasing (this, perhaps, is the first point of divergence). The myths are expressed from an Australian's perspective so readers in the UK and in other countries may wish to take issue with some of my comments, as, no doubt, will many Australian Procurement leaders. Hopefully this will lead to the discussion 'we had to have' (Keating, 1990). What's in a name? Plenty if you need precision and certainty. This is a topic that certainly attracts attention in Australia. Here the terms Procurement and Purchasing tend to be used to define the level of staff status attached to the role. Procurement reflects more seniority with policy and, strategy-focused activity. Purchasing is used to define the basic tasks associated with the actual buy. In the UK and Europe the term Purchasing has a greater hold and seems to be used more seamlessly than in some other places. Many other terms crowd the space without clarification: acquisition, supply, supply chain management, sourcing, commissioning and so on. This is a myth that I believe is associated with the lack of agreed profession-wide terminology. There exist significant pockets of ‘buyers’ who still remain beyond the reach of the profession. The proliferation of supply associations in their various forms and names adds to the confusion. Buyers in the retail industry often seem to see themselves as a specialised race Furthermore in some countries buyers cannot or should not have been associated with sales and marketing (even though most Procurement occurs on a business to business or business to government basis). At the earlier dawn of jurisprudence, the term in use for a Contract was … nexum, and the parties to the contract were said to be nexi … The notion that persons under a contractual engagement are connected together by a strong bond or chain, continued to the last to influence the Roman jurisprudence of Contract; and flowing thence it has mixed itself with modern ideas. William the Conqueror used the creation of the Domesday Book to provide a comprehensive record of land ownership which, if nothing else, helped the Crown procure funds and service from the nobility. A nineteenth or twentieth century notion indeed! Is this issue a Procurement myth? Maybe … probably! Once again we have limited agreement on this topic. The Project Management profession makes much of PMBOK - the project management body of knowledge - but is the knowledge really exclusive to that profession (or vocation)? Much of our professional knowledge relates to the usage of a widely based set of rules. For example, Pythagoras’ Equation is used in a number of industries (including project management) to solve particular problems. The equation is not part of the exclusive knowledge of one profession though it might be adopted by many professions as a pathway to forming a professional judgement. I have examined the content of my accounting degree in some detail and cannot say the knowledge it contained has only one application. It is more a collection of particular pieces of knowledge from many sources that enable a member to demonstrate their professional knowledge, claim membership and exercise professional judgement. This myth takes me back to the start. I like to define Procurement as ‘the art and science of supply’ (though I have only very recently added the ‘art’). To me Procurement is every activity associated with the acquisition and supply of goods and services from the inception of an idea requiring and leading to a 'buy' decision, to the disposal of the goods or the conclusion of the service. It's a very large canvas that moves a long way from a simple process. Of course the process issue is important as it defines our systems as well as providing some surety that, in corporate and public governance, requirements are continuously met. The process is the comparatively ‘easy’ part of Procurement, though it still causes a lot of difficulty, as the following myth about Procurement and IT suggests. Here is the most expensive myth: big beautiful systems will save Procurement. It's true they will help, but only if you have a good system in existence already and can convince the supplier to provide a product that suits your needs and system. Perhaps the myth is best exposed by a recent comment that I heard which was: ‘… don’t try to adapt an IT system, adapt your o rganisation to fit the system’. Furthermore, IT systems create Procurement nightmares within themselves. Cost estimation for bespoke IT systems is fraught with difficulties that remain unresolved. The problems are not just with the scope, specification and schedule, but also the interference from a wide range of sources in addition to those engaged in the program construction and testing. They are also affected by all the politics, relationships and organisational issues associated with an IT development project. The detail is too great to explore in this presentation, but just remember that the accountants and IT managers involved in IT systems building have not got together in 40 years to address these types of issues. Maybe this is because the accountants are too busy doing management consulting and the IT managers just don't see the problem. But whatever the cause, IT has not yet "saved procurement". Procurement is a by-product of Supply Chain Management or Logistics or…? Supply chains affect their organisation because the number of supply chain members and their relative performance affects stakeholders in different ways. As organisations have outsourced many non-core activities, their supply chains have become more complex. The outsourcing process creates simultaneous complex interdependencies between the buyer and actual provider of the outsourcing products or services. In these circumstances, the performance of the supply chain partners in the so-called virtual organisation is critical. 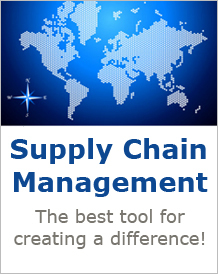 It is often convenient to divide a supply chain into a number of subgroups or a subsystem. The naïve approach to supply chain management suggests that each element of a complex supply chain can be measured and managed, but the reality is that the exact structure of each supply chain can change very swiftly and in ways that are not obvious to the principal contracting parties. Just as the management process relies on delegation of tasks and responsibilities to subordinates, the outsourcing process results in a delegation to contractors and sub-contractors who form a supply chain that may be governed by commercial terms and conditions of contract, but has no chain of command to direct and control activities.